The best Indica California has to offer, with large broad leaves, and deep forest green color was bred to create this autoflowering strain. 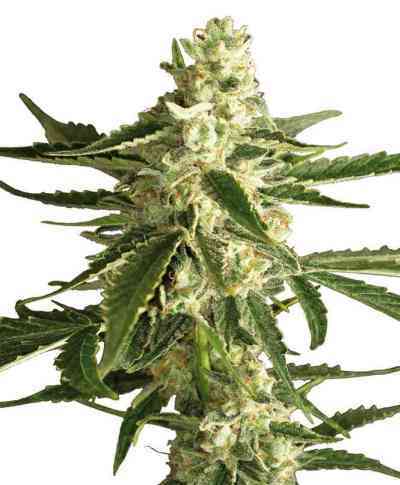 It has a very large crown shaped terminal cola surrounded by strong branches full of dense buds covered in resin. Shades of silver and purple accompany strong gasoline overtones, assisted by earthy like undertones. 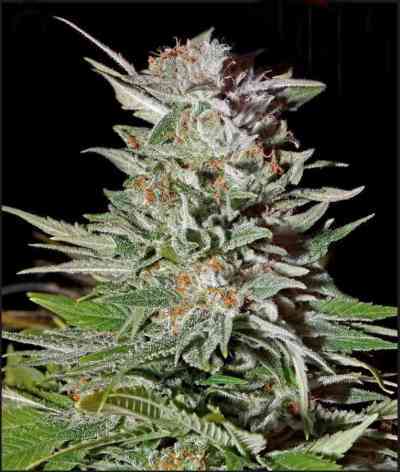 Known for pain relief and relaxing effects, it's very resinous and potent.